There’s a joke I often tell about a conversation regarding the kosher laws between Moses and God. God dictates the Jewish dietary laws to the Israelite leader in easy-to-understand terms, but Moses repeatedly complicates these statutes. Finally, frustrated, God gives up and tells Moses to just do whatever he wants. This new position led to my private certification of a few bakeries, bagel stores and a vegetarian restaurant with the eventual formation of my own kosher certification agency, Kosher Michigan. This experience has been nothing less than fascinating. I now certify a paper mill that makes paraffin wax paper for kosher foods, olive oil bottling at a spice company, a gourmet chocolate factory, a foodservice corporation that provides shelf-stable meals to areas hit by natural disasters, as well as several other businesses. I’m frequently called upon to kosher industrial and residential kitchens, to consult Jewish organizations on kosher matters and to speak about the kosher food industry. 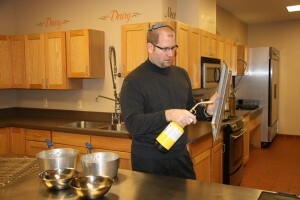 As Fishkoff demonstrates in Kosher Nation, the kosher business has changed drastically over the past several years. She writes, “kosher has become one of the country’s hottest food trends. … A generation ago, kosher was a niche industry, the business of the country’s small minority of observant Jews. … Today one-third to one-half of the food for sale in the typical American supermarket is kosher. That means more than $200 billion of the country’s estimated $500 billion in annual food sales is kosher certified.” Not bad for a religious tribe that accounts for less than 2 percent of the U.S. population. And it’s not just that there’s more kosher food out there. The rules of the game have radically changed as well. So many proverbial fences have been erected around the kosher laws that no 19th century rabbi would recognize them. Rabbis today can make a modest living washing leafy vegetables and checking them for miniscule bug infestations. The ultra-Orthodox have ruled that such innocuous items as strawberries, Romaine lettuce, Brussel sprouts, smoked salmon and water cannot be consumed because of either insects or microscopic copepods. Non-observant Jewish owners of kosher grocery stores, meat markets, and restaurants are no longer trusted to hold the keys to their own businesses. Positive change is afoot in the kosher world. Today, more people are increasingly concerned about the food they eat, where it comes from and who is making it. They want to be assured that it is clean, fresh, safe and healthy. More people have specialized diets because of lifestyle choices, health reasons or religious values. Kosher is just another option in a category that includes vegan, organic, gluten-free and heart smart. There is a growing non-Jewish demographic that is maintaining some form of a kosher diet. And the leaders of Reform Judaism, which once shunned kashrut, are now promoting adherence to the kosher laws on some level.